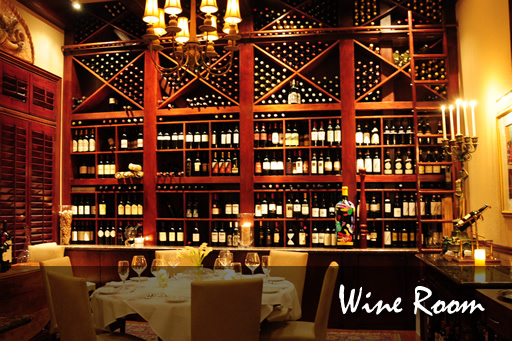 The perfect restaurant for Office Parties, Holiday Gatherings, Wedding and Baby Showers, Power Lunches and more! 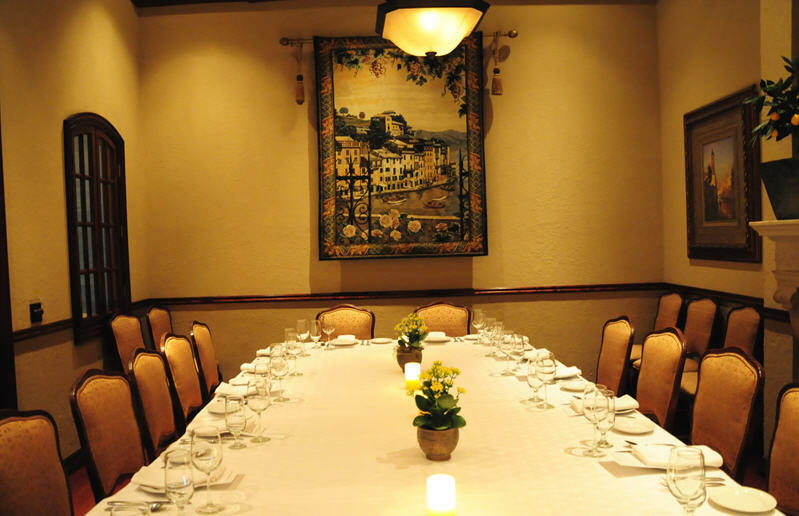 Romantic or Fun, these rooms can be arranged specifically for your private event. 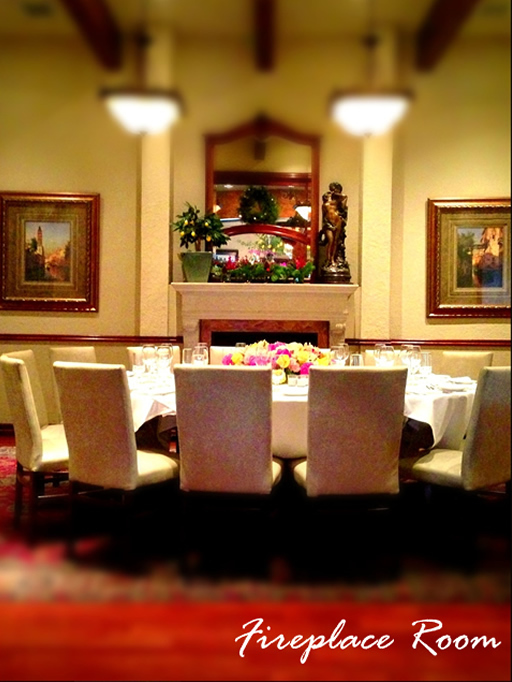 The Wine room is a favorite for power lunches and Board meetings! 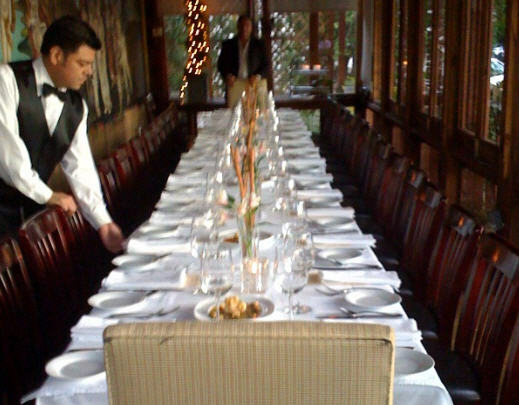 22 guests at one long table & 32 guests at four tables of eight. $2,000.⁰⁰ minimum & may require set menu. Main Dining Room: Holds 60 guests at round and rectangular tables of 6-8 guests. Minimum and deposit required & may require set menu. Entire Restaurant is available to rent. Atrium: Holds up to 40 guests at one long rectangular table. $3,000.⁰⁰ minimum & may require set menu.